There are actually some changes in the Top 10 this week at Pop! Republic's Jonas Brothers slide into #1 spot with "Sucker," powered by being Greatest Gainer, up over the 2000+ spin mark, yet again. Others moving up in the Top 10 include Sam Smith & Normani's "Dancing With A Stranger" (RCA-Capitol), along with Ariana Grande's "Break Up With Your Girlfriend" (Republic) and Post Malone's "Wow" (Republic). Columbia's Lil Nas X edges closer to Top 15 with "Old Town Road," while the Jonas Brothers' second track "Cool," joins the Top 20. 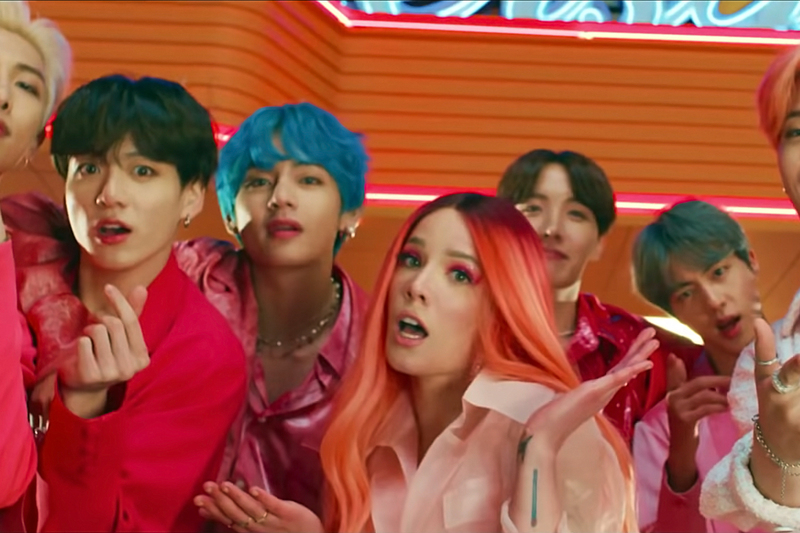 Charting this week is BTS' "Boy With Luv" f/Halsey (BigHit/Columbia-Capitol), which leaps Top 30 in its first full week of airplay. Others looking to join the chart are Lizzo's "Juice" (Atlantic) and Billie Eilish's "bad guy" (Darkroom/Interscope). The Most Added track at Pop is BTS' "Boy With Luv" f/Halsey (BigHit/Columbia-Capitol) which brings in 109 reported Mediabase adds on impact. Team Columbia takes the #2 spot with another 41 stations closed on Lil Nas X's "Old Town Road." Epic pulls in 40 adds on impact for Travis Scott's "Wake Up" f/The Weeknd (Republic-Epic). Republic also scores 39 close-out adds on Jonas Brothers' "Cool," and puts up 26 adds on impact for Push Baby's "Mama's House." Atlantic pulled in 18 adds on Kelly Clarkson's "Broken & Beautiful." Capitol scores 13 early adds on Lewis Capaldi's "Someone You Loved" (Vertigo). Interscope vaults Billie Eilish's "When The Party's Over" (Darkroom) into the top rank with 12 more adds, while RCA pulls in another 12 for Khalid's "Talk." And Atlantic brings in another 11 stations on one of the breakout acts from Weekend 1 at Coachella, Lizzo's "Juice," to close out the Top 10 Most Added. The two biggest stories on the chart this week are the Jonas Brothers and Lil Nas X, and it looks like they will be the top two spin leaders of the week, sucking up almost 6000 spins between them. 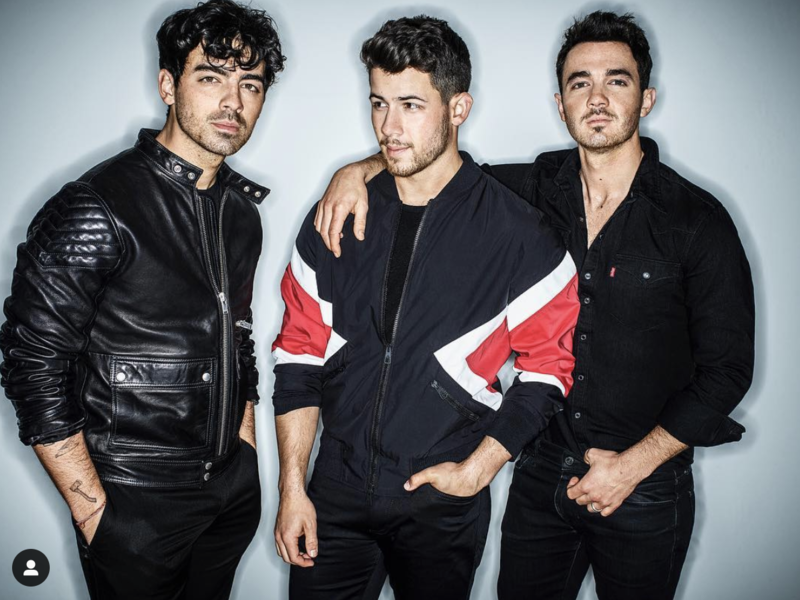 Jonas Brothers look to have the #1 and #2 Greatest Gainers on the chart, as first single "Sucker" climbs to #2 while follow-up "Cool" not only charts in one week, but breaks inside the Top 25! Meanwhile, Lil Nas X's "Old Town Road" (Columbia) takes a huge jump up and lands inside the Top 20, as the week's third biggest Greatest Gainer. Other notable moves include Billie Eilish's "When The Party's Over" (Darkroom/Interscope), which is now Top 25. And look for Julia Michaels' "What A Time" f/Niall Horan (Capitol-Republic) to chart.